The country's mushroom industry provides a stark warning to the rest of the economy about the damage a sustained weakness in sterling could inflict on Irish exporters, the sector most vulnerable to the impact of Brexit. Irish mushroom growers rely on the UK for 80% of sales. The industry has been losing money since Britain's vote to quit the European Union in June sent sterling tumbling. Sterling has now lost 19% of its value against the euro, wiping out the Irish producers' profit margins. Five of Ireland's 60 mushroom farms have so far gone out of business since the referendum, including two this week. Producers had been pinning hopes on the Government's much-awaited "Brexit-proof" 2017 draft budget unveiled on Tuesday, but have now joined business groups and the opposition in criticising it as inadequate. in many other countries. Ireland is widely seen as the EU economy with most to lose from Brexit and the Government, having cut its economic growth forecasts for 2016 and 2017 as a result of the UK vote, had promised a range of measures to protect the firms most exposed. 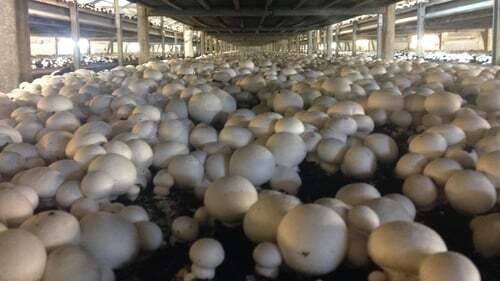 Mushroom farmers had called for a reduction in the level of social insurance tax levied on employers, a ditching of plans to increase the national minimum wage and the provision of emergency funds to exporters. Instead they and other agri-food firms were offered cheaper loans and other small tax relief measures which the head of the Irish Creamery Milk Suppliers Association likened to "giving someone a bicycle when they needed something with a motorised engine". "There was just dismay among our members who were asking where was this Brexit budget," said Simon McKeever, chief executive of the Irish Exporters Association. Simon McKeever said exporters, who, excluding Irish-based foreign multinationals, ship 44% of their products to Britain, were also starting to encounter some issues accessing credit from banks concerned over their currency exposure. Some firms with a high proportion of sales in Britain are also considering shifting production there, a prospect McKeever said was more likely after the budget failed to reduce income and capital gains taxes closer to UK rates. The Irish mushroom industry, the fifth largest in the EU, has an annual production worth only about €120m, a tiny proportion of Ireland's €243 billion gross domestic product, and employs about 3,500 workers. But its plight mirrors many other sectors struggling with the fallout from Brexit. Bilateral trade between Ireland and the UK totals some €1.2 billion every week and employs some 400,000 people on both sides of the Irish Sea. The UK accounts for almost half of all Irish boneless beef exports and close to 60% of some cheese products. 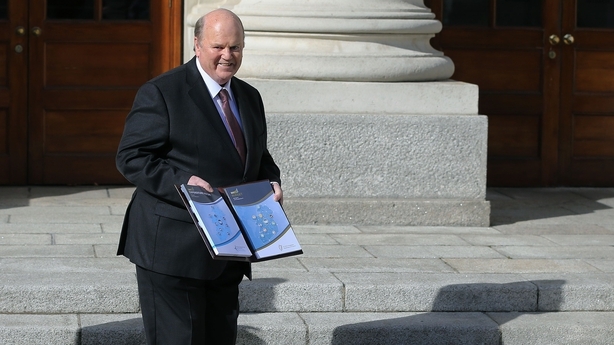 Finance Minister Michael Noonan said the budget measures would likely not be the last aimed at cushioning the impact of Brexit. However, he added he could not do more to "to counteract unknown consequences" until the shape of Britain's exit negotiations became clearer next year. Ibec said the Government still had a number of options, including the provision of far more funding for firms breaking into new markets and a partial state guarantee of their credit exposure to suppliers, as is available in many other countries. The employers group also called for the reactivation of a fund set up during the 2008 financial crisis that offered up to €500,000 to viable companies facing exceptional difficulties. Without further action, thousands of jobs are at risk, it said.